They are waiting for you in Premium Card Pack and by Combining Card!! Get Special A+ Card GET 100 Diamonds! 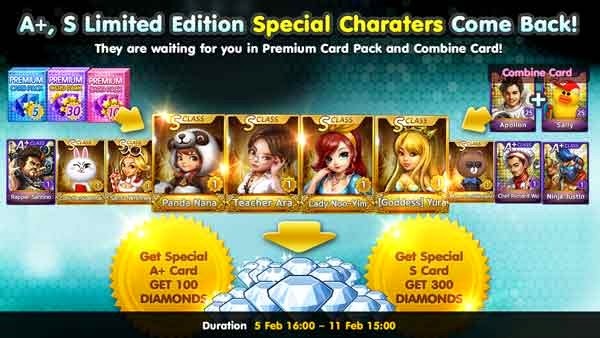 Get Special S Card GET 300 Diamonds! ได้การ์ดพิเศษ A+ รับ 100 เพชร! ได้การ์ดพิเศษ S รับ 300 เพชร!